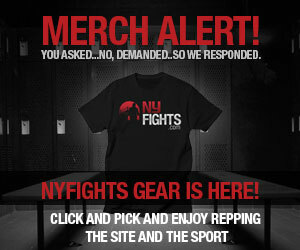 McCarson writes What To Watch for NYFights.com every week. 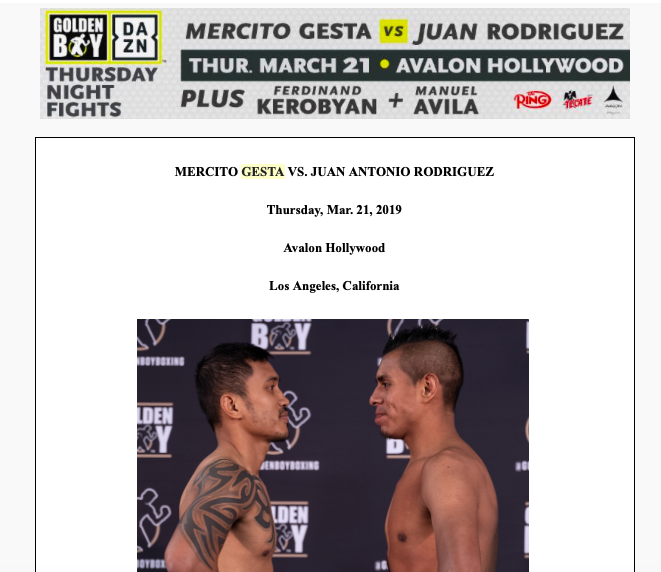 Synopsis: Gesta-Rodriguez was supposed to kick off the first Golden Boy Promotions Thursday Night Fights series on DAZN, yet another boon to DAZN subscribers looking for solid boxing action. However, the press release for the card only indicates the stream on RingTV.com, so that’s what is listed here. Gesta, 31, is a former title challenger seeking to climb back of the rankings. The southpaw is hoping a win over Rodriguez, 31, nets him another chance to win a 135-pound title. 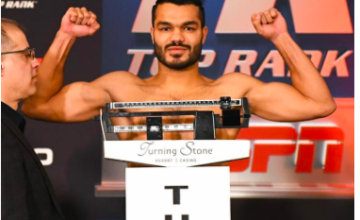 Other Bouts: The co-main event features two undefeated welterweight prospects, Ferdinand Kerobyan and Blair Cobbs, squaring off in a scheduled eight-rounder. 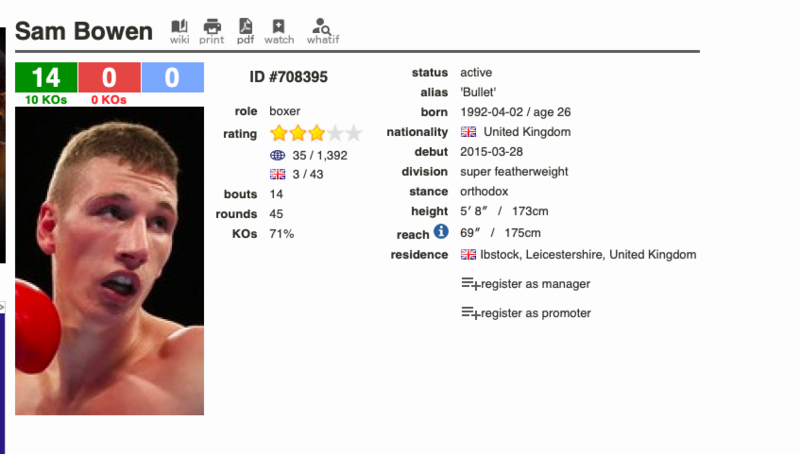 Undefeated heavyweight prospect James Wilson is also scheduled to make his debut under the GBP banner. Wilson is a former mixed martial artist with some serious internet buzz. Sam Bowen holds a 14-0 record going in to his Thursday night fight. 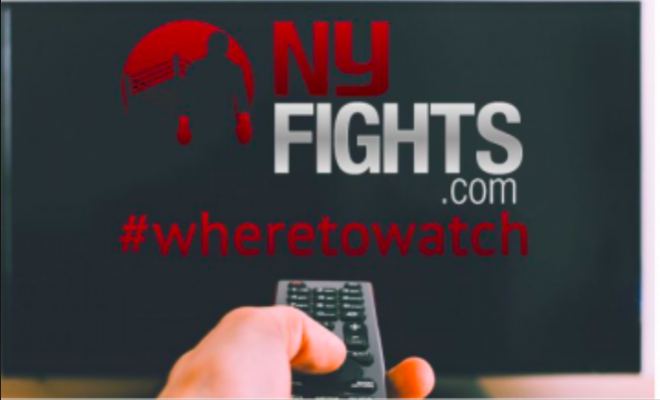 Synopsis: Bowen defends his 130-pound British title against Scotland’s McCorry in the kind of bout that makes an ESPN+ totally worth the $50 a year. After all, it’s these types of fights that are the lifeblood of boxing’s popularity across the pond and such frequent exposure to them for U.S. fans was fairly uncommon before over-the-top streaming platforms like ESPN+ came along to save the day. Other Bouts: Rising heavyweight prospect Nathan Gorman defends his WBC International Silver heavyweight title against Kevin Johnson. A win by Gorman would help the 22-year-old keep pace with the highly touted Daniel Dubois who Gorman’s handlers expect their fighter to face in the near future. Tommy Fury, the 19-year-old younger brother of lineal heavyweight champion Tyson Fury, will fight his second professional prizefight at light heavyweight. Edwards is under the radar at flyweight among fans in America. 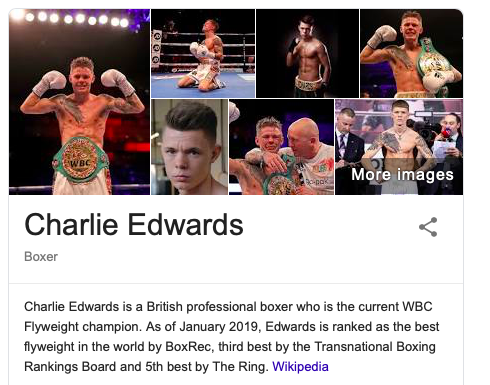 Synopsis: Edwards, 26, upset Cristofer Rosales for the WBC flyweight title in December 2018 and is making his first defense. Edwards lost his first title opportunity against John Riel Casimero for the IBF title in 2016 but made good on his second chance after recommitting himself to boxing. Moreno, 35, is promoted by former middleweight champion Sergio Martinez. He’s riding a 9-fight win streak and hoping for a huge upset. Other Bouts: Rising contender Joshua Buatsi takes on Liam Conroy for the vacant British light heavyweight title. Popular British lightweight contender Lewis Riston is also in action, as well as 26-year-old cruiserweight contender Lawrence Okolie. Kubrat Pulev makes his debut for Top Rank against Bogdan Dinu. 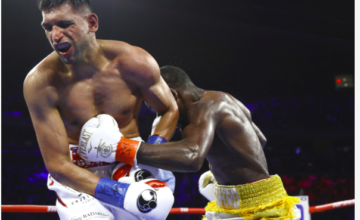 Synopsis: Pulev continues his trek back toward heavyweight title contention against Dinu, a Romanian slugger attempting to rebound from a knockout loss to Jarrell Miller. Pulev, 37, lost to Wladimir Klitschko in 2014 but has won six straight over solid competition. There’s a good chance Pulev is in line to face lineal champion, Tyson Fury, since both are co-promoted by Top Rank and attached to ESPN. 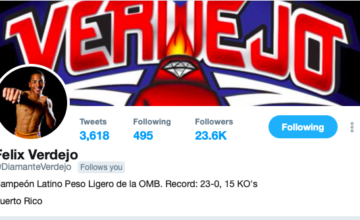 Other Bouts: In the co-feature, former world champions Jessie Magdaleno and Rico Ramos will clash in a 10-round featherweight bout with potential world title implications. Junior welterweight contender Javier Molina, who represented the United States at the 2008 Olympics, is also in action as well as welterweight Chris van Heerden. 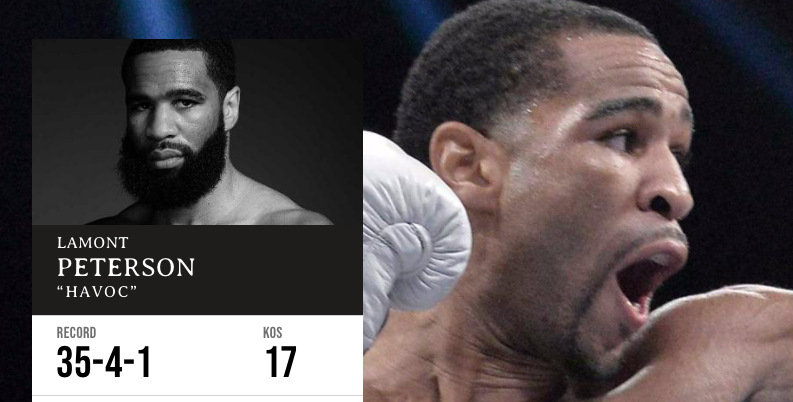 Lamont Peterson meets Sergey Lipinets on FS1, in America. Synopsis: Former 140-pound titleholders Peterson and Lipinets square off in probably the best fight of the weekend. The 29-year-old Peterson, who is also a former 147-pound titleholder, is coming off a stoppage loss to Errol Spence in January 2018. Lipinets, 29, defeated Erik Bone by majority decision last time out after losing his junior welterweight title to Mikey Garcia in a prior contest. Other Bouts: Anthony Peterson, Lamont’s younger brother, is also in action against Argenis Mendez in a scheduled 10-round junior welterweight fight that serves as the co-main event. The Peterson brothers are an inspirational duo that rose from poverty and homelessness in Washington D.C. as children to become elite professional prizefighters. Mendez, 32, is a former junior lightweight titleholder.